TripAdvisor Instant Booking deal with Booking.com apparently exclusive. Expedia Inc. is shut out of TripAdvisor Instant Booking because TripAdvisor’s landmark agreement with the Priceline Group is an exclusive one regarding online travel agencies, Skift has learned. In an interview with Skift, Expedia CEO Dara Khosrowshahi said that he will look at TripAdvisor Instant Booking once it becomes available to Expedia – at this point there is an exclusivity period for Booking.com from what he understands. TripAdvisor officials have consistently declined to specify details of the TripAdvisor Instant Booking agreement with the Priceline Group, a pact that increased TripAdvisor’s market share by $3 billion on the day it was announced. “And we will look at it just as we look at any other channel for how many new customers is it going to get us, how much is it going to cost us and what’s our ability to retain those new customers and to become loyal customers for our brands,” Khosrowshahi said. The fact that Expedia has been shut out — at least temporarily — from TripAdvisor Instant Booking is ironic given the history between the two companies. Expedia Inc. spun out TripAdvisor as an independent public company in 2013. The Priceline Group and Expedia Inc. are TripAdvisor’s largest advertisers. In a session at the Phocswright conference, Priceline Group CEO Darren Huston referred to his company as TripAdvisor’s largest advertiser, which would make Expedia Inc. number two. Tripadvisor-Priceline Group Instant Booking agreements calls for Booking.com and sister companies Priceline.com and Agoda to handle bookings right on TripAdvisor sites. In looking at the implementation of Booking.com within TripAdvisor Instant Booking in New York City, for example, Booking.com handles all of the booking options that aren’t processed by TripAdvisor hotel partners, including Marriott International, Hyatt and Accor. The Booking.com booking presence on TripAdvisor is only about 30 percent rolled out. 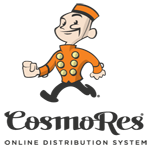 He repeated his opinion that the branding for Expedia within TripAdvisor Instant Booking wasn’t adequate in the beginning but branding for partners has now improved. But TripAdvisor has made concessions to partners. Khosrowshahi has consistently made more positive statements about the emerging Book on Google than TripAdvisor’s booking product. 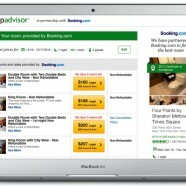 Booking.com has been testing Google’s product and Expedia anticipates doing so as well. Of Google’s new travel initiatives, Khosrowshahi said: “As long as we can participate as an advertiser. What we care about is Google is going to build lots and lots of different products. We want to make sure we have a partnership with them so we understand where their roadmap is, and we can participate in those products. And I think they’ve been quite consistent and I think they’ve done much better in engaging with their partners about where they’re taking their products and how they can participate. I’d say so far so good.